How Grain Handling Technology Evolved with the Introduction of Updated Technologies? Every farmer is a gambler. They gamble on the weather and are completely dependent on how the weather turns out to be in order for their crops to flourish and profit from it. 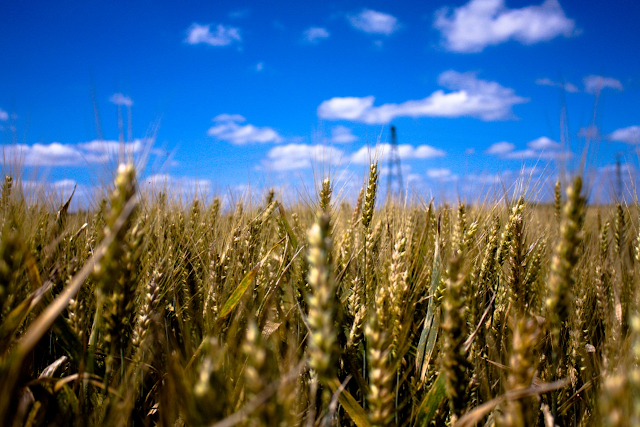 The crops can get destroyed due to a storm or they can turn on perfect because of the appropriate weather conditions. This is one thing that the science lacks control in to a considerable degree. Farmers are on the mercy of the weather to either bring them a good year in farming or make them bear a terrible loss. 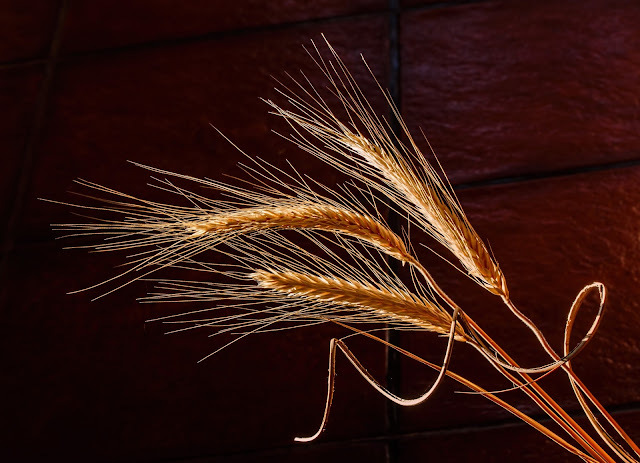 When it comes to grain storage science has blessed us with incredible technology. Since the industrial age, many progressions have been made in terms of handling crops. Farmers profiting from grain crops have benefitted with better maintenance for the crop and better storage facilities. Here are some of the recent technological advances that science has blessed the grains crops with. Grain drying is only required for as much as 2 months. Despite that, this process is an important aspect for the farmers as well as the consumers. In case of the failure of a grain dryer machine, the whole operations can come to total halt. 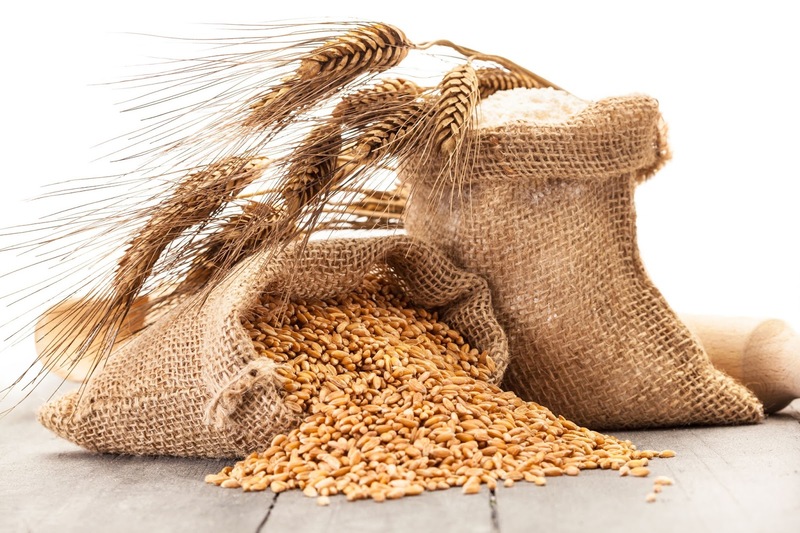 Improper dryness can cause the grain to get damaged in the grain storage and can render it totally useless before it is even transported for sale. People would have to sit through the whole process in close proximity to the machine. This was done irrespective of the time, in order to protect the crop from perishing due to the malfunctioning of a dryer. This phenomenon changed after the introduction of ConnectPort X4 Gateway. The system was introduced by NECO team and is now equipped in every dryer. It utilizes device cloud then passes on the information to a custom web application of NECO, COMMANDnet. This granted easy access to farmers, dealers and NECO itself. Just like most fields in farming and transportation, trucks are going digital, it only makes sense that grain drying can make use of this technology. Now farmers don’t need to spend all their time being physically present with the machine but instead can get alerts in the forms of SMS or e-mails. They can also have applications in their smartphone, computers or tablets with which they can log in and review the progress. 360 Bullets is yet another innovation in grain handling, conserving the nutrients of the grains while providing quality harvest. Prior to the introduction of 360 Bullets to the farmers, the traditional rippers were prone to penetrate the soil by a small percentage. These later affects the crop, which in turn ends up receiving less nutrients than it should. 360 Bullets is although known to be only 1.5% slower than its predecessor, but gets the job done right. It eliminates undisturbed berms and rips the soil deeper than any other ripper. It ruptures the soil surface so that the roots can have a smooth transition to the subsoil’s moisture level. It has the added benefit of having the same horsepower as its forerunners. With technology improving throughout the years, a lot of old practices in farming have nearly become extinct. Another machine that is changing the game for farmers is Tribine. This machine has the capacity to eliminate the need of a tractor or a grain cart completely. Adding more to its benefit is its speed, which is faster than the two conventional machines combined. It harbors a 1000-bushel grain bin which can be unloaded in just over two minutes. Its 500 gallon fuel tank provides it with the capability to work continuously for 24 hours. Another innovation that has been made is that the cab floor is entirely made up of glass. This grants a wider range of vision for the surroundings. It also boasts of having a tighter radius for turning than other combines. These features make the machine more desirable and intensely awaited. It is expected to release soon in 2017. All these inventions are introduced to provide a smoother system of farming and grain handling. These machines make the painstakingly difficult work of any average farmer, less time consuming and more profitable. The machines listed here are capable of doing exactly that. Technology can always be counted upon to better the lifestyle of any industry and therefore should be embraced by all the farmers across the world. It is the perfect way to compete with a market with high demand. How did Innovation of Grain Vacuums Ease the Grain Storage Process? 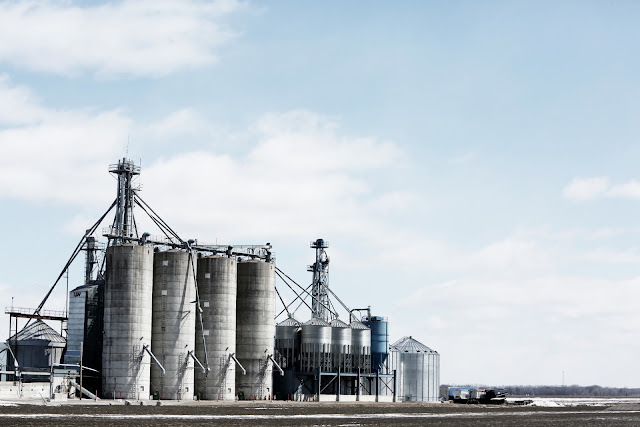 Grain storage is a field that has seen numerous technological advancements over the past 20 years, and the systems that are being used are seeing constant improvements. Improving the way that we store grain has allowed for great profit potential, with higher quality grain being produced as a result. Obviously, there are many aspects of grain storage that need to be considered. From protecting the grain from pests to ensuring the temperature is at the right level and keeping moisture in the bin to a minimum. Grain Vacs, which are growing in popularity among farmers, help with the process of filling and emptying storage bins. This article will go into a few of the reasons they have become such a useful tool. 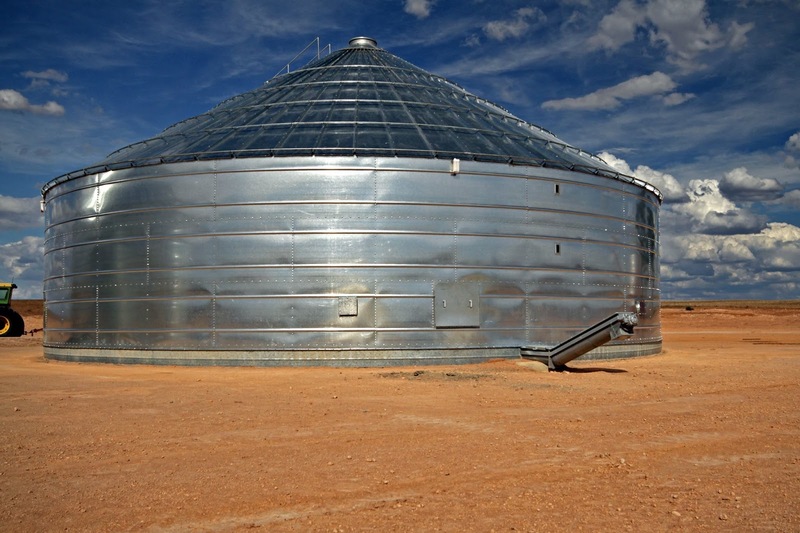 Over the past 5 years, we are seeing farmers start to prefer bigger and taller grain storage bins, for several reasons. For one thing, they enable farmers to make better use of the land they have, instead of building numerous smaller bins that take up considerably more space. Tower silos also have a very long lifespan and offer perhaps the best protection from pests, given that aeration cooling can be used to regulate moisture and drives insects out. However, traditionally, large storage bins have been difficult to fill, given their great size. This has made it difficult for some farmers to justify using taller silos, given that grain augers, which essentially act as conveyor belts, simply can’t be used when we’re talking about a 70-foot silo. Some farmers have improvised and cut holes in tall silos, using an auger to half-fill them. However, this obviously doesn't make full use of the height of the silo. Grain vacuum systems offer a solution to this problem, by essentially blowing grain into a bin or truck very quickly and efficiently. Basically, it does this by taking the grain into a tank, where it is separated from the air. The air is taken into another chamber, where it is essentially cleaned and any dust and other bits and pieces are removed. It is then blown out of the airlock, pushing the clean grain out of the van and into a grain bin, silo or truck. It can be used to with al kinds of grain products, including wheat, barley or meadow broad glass. Some farmers use grain vacs to fill or unload bins not necessarily due to the fact that they are tall, but simple because it’s more efficient. 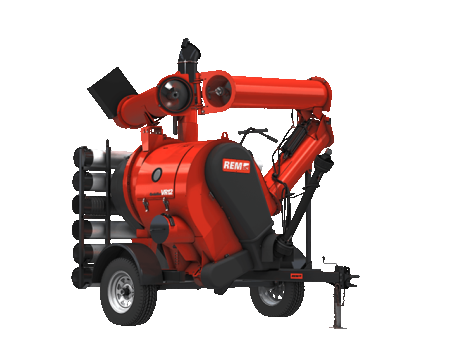 They can be very useful in cleaning out a grain shed or flat bottom silo and essentially clean the grain itself, removing dust and dead weevils in the process. Vacs can also make filling a trailer a much quicker process, which ultimately saves farmers time and money in the long run. They’ve proved advantageous for grain farmers in a variety of different situations and can be used with just about every grain storage solution, so they’re well worth the investment. As you’ve read, there are a lot of good reasons to invest in a grain vac system, whether you are working with a small grain bin or large silo. For more information on these amazing systems, speak to the team at Advantec today and find a grain vac for sale that works for you.